Fernandez & Leluu no longer work together, I have moved to www.leluu.com - please follow my blog posts there. The ultimate comfort food, usually served for breakfast in Vietnam as it is spicy and sensual with star anise, cumin, cloves and chilli to wake any senses. Bò Kho is usually eaten with a fresh baguette, the sauce is perfect for dipping and scooping or it can also be served over cold flat rice noodles (hủ tiếu) or vermicelli (bún) with beansprouts, plenty of fresh herbs and the essential squeeze of lime for a perfect fresh zingy balance. 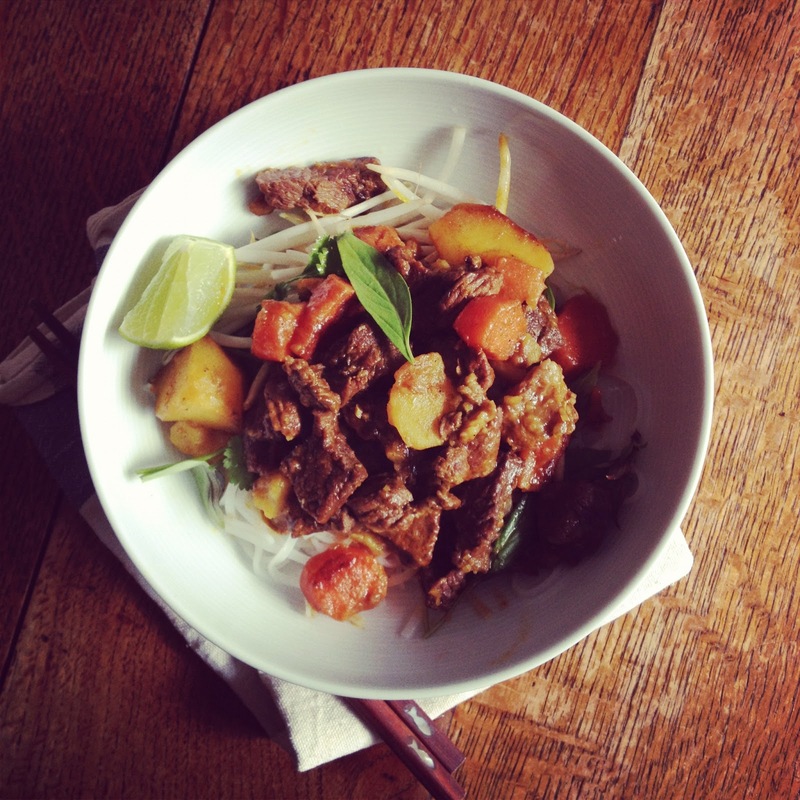 Vietnamese food is brilliant at being light and fresh. Despite the richness of the stew, it is contrasted and balanced with fresh, crunchy ingredients - making every morsel tasty and diverse! Plus following dates . . .
private events: min number 20 guests. Leluu has no involvement in the above and no longer contributes to this site. All photos are by Uyen Luu or Simon Fernandez Copyright 2009-2012 unless otherwise stated. Please ask permission if you would like to use them. Commissions are also welcome. Thank you.